Rasmussen Reports - Intermarkets Inc.
Rasmussen Reports is America's most visited public opinion website. As a nonpartisan electronic media company specializing in the collection, publication and distribution of public opinion polling information, Rasmussen Reports conducts national tracking surveys every night on political, economic and lifestyle issues. 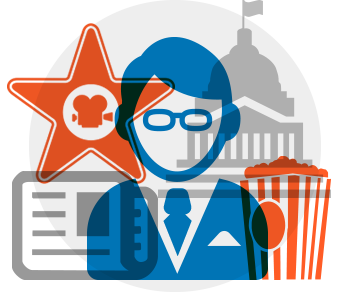 Rasmussen Reports generates original public opinion data that is relevant, timely and accurate, and conducts additional polls on state elections and other topics. Advertising on RasmussenReports.com puts you in front of a highly-driven and well-informed audience, focused on consuming news and public opinion and issues. Users are avid book readers and frequent travelers that foster healthy lifestyles, including purchasing health foods and products. Given their proximity to news and the latest trends, readers of the site are also very technology driven. 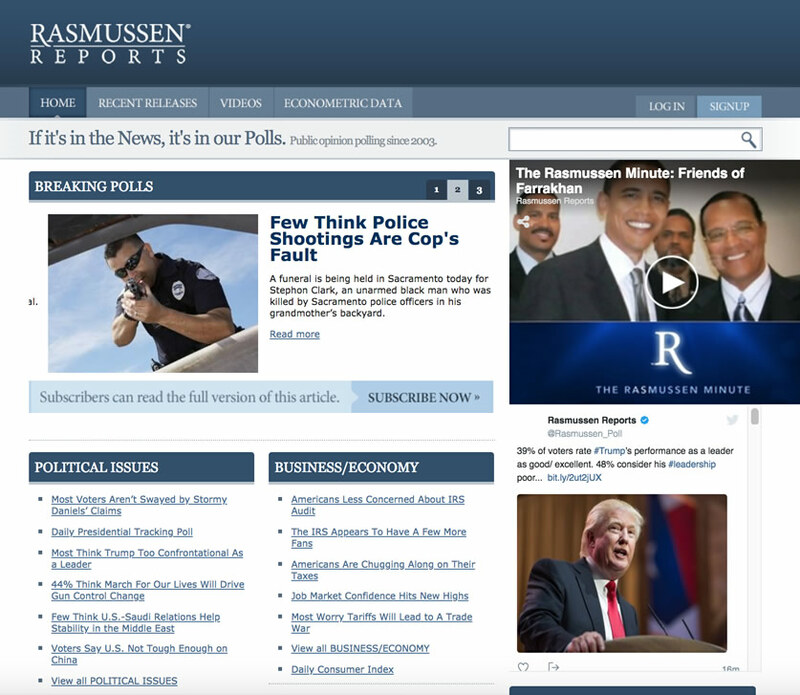 RasmussenReports.com puts your brand in front of some of the most active and engaged readers online today, giving you access to an audience seeking newsworthy content, breaking polls, and anything presidential. Their Presidential Tracking Poll is the only daily Presidential tracker and it is regularly picked up and disseminated by media outlets large and small, drawing audiences from both sides of the aisle, from The Drudge Report to Huffington Post. This exclusive poll drives consistent page traffic and is RasmussenReports.com’s most visited page.